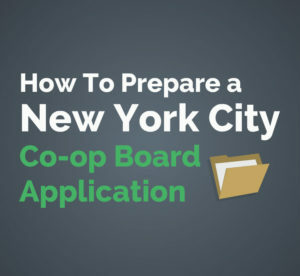 Preparing a NYC co-op board package purchase application is the most difficult step in buying a New York City co-op (coop) apartment. Co-op board packages in NYC, also know as purchase applications, are notoriously complex and leave little room for error. Even if you’ve requested a buyer agent commission rebate and are working with a buyer’s agent, reading this article will maximize your chances of submitting a perfect board application and receiving co-op board approval. When do I submit a NYC coop (co-op) purchase application? How can I save money when buying a co-op apartment in NYC? What is a sample NYC coop board package table of contents? How do I prepare a NYC co-op (coop) board package? How long do closing procedures take on a NYC co-op apartment purchase? What are some tips for assembling a co-op board application? What fees are associated with a NYC coop board application? How long does it take to assemble a co-op board application? How long does it take to be contacted for a board interview? How soon can you close after receiving coop board approval? In most cases, you will begin preparing a coop purchase application after signing a purchase contract and receiving the fully executed version back from the sellers. If you are financing the coop purchase, you likely won’t be able to submit your coop application until you receive a commitment letter from the bank. However, that shouldn’t prevent you from beginning to assemble the other parts of the application. If you have the fortune of being an all cash buyer, you won’t have to wait on any outside entities like a bank to provide required documentation for the purchase application. Therefore, you will be able to submit the coop application as fast as you can assemble all of the supporting documentation. One of the first things you can do after signing the contract is to review the overall co-op purchase application with your buyer’s agent so you can start working on the items which take the longest to complete. Because the board application can vary immensely by building, it’s important that you understand exactly what your building is looking for. Before submitting an offer on a co-op in NYC, we suggest you take a look at our sample NYC co-op purchase application so you know what level of work is involved in buying a co-op. You should also familiarize yourself with the typical co-op rules and regulations so you know what to expect as a resident of a cooperative in NYC. In the event that the board application requires ‘original’ signatures and any board application fees from the seller, your buyer’s agent can start coordinating these items immediately with the listing agent. It’s quite common to see a buyer complete the board package only to be delayed in submitting the application because the seller hasn’t taken care of these items in advance. By reviewing the application as soon as possible, you will be able to submit the board application as quickly as possible. Your purchase contract may specificy a specific deadline for the submission of the board package. This is typically 10 business days from the date of a fully executed contract, however in some instances the Purchaser’s Rider may extend this to 15 business days or more. Other common sources of application delays include waiting on receiving personal and professional reference letters as well as landlord reference letters. Therefore, it’s suggested that you request these immediately after you’ve signed a contract on the co-op you are looking to buy. PRO TIP: In rare instances, a NYC co-op listing agent may require applicants to complete and submit a purchase application before signing a contract. This is most common in the case of HDFC co-ops, which usually require that a buyer submit the application and be approved by the board before being permitted to sign a contract. You may also be asked to complete a simplified version of the co-op purchase application for a traditional co-op sale in a situation where the previous buyer was rejected by the board. Should your co-op have a unique situation which requires you to complete the board package signing a contract, your buyer’s agent will most certainly inform you of this. You may have already heard about the fact that buyer broker commission rebates are 100% legal in New York. Considering that sellers pay the same commission even if you as a buyer are unrepresented, requesting a buyer broker commission rebate is a no brainer way to save money on your purchase. Given the added complication of navigating the co op board approval process, the value of working with an experienced buyer’s agent is even greater in the event that you are looking to buy a co-op in NYC. A typical NYC coop purchase application may include any or all of the following sections. It’s important for you to remember that each coop is an independently managed and owned corporation, so policies (and purchase applications) can vary significantly. Signed Building Acknowledgements: Move-in/Move-out Procedure, Special Conditions Acknowledgement, Terms and Conditions, Corporation Compliance Letter, Pet Policy Acknowledgement, etc. You may still be asked to complete a complete or partial board package if you are buying your neighbor’s apartment in NYC. Unlike for condos, the likelihood of a NYC coop sale going through just because a contract has been signed is not essentially 100%. Before being permitted to close on a coop, all applications are required to submit a coop board application (purchase application), undergo an interview and be approved by the building. The main reason why NYC coops require board packages is to vet the financial qualifications of potential new shareholders of the coop to make sure they can afford to carry the apartment. By ensuring that each buyer is financially qualified and able to afford costs associated with ongoing ownership, existing coop owners are able to mitigate financial risks to the entire shareholder base and reduce the risk of maintenance delinquencies, forced sales and other negative outcomes that would damage the interests of fellow shareholders. In addition, the coop purchase application and co-op board interview process gives existing coop members the ability to ensure that a new applicant will add qualitative value to the community. As a result, the stakes are very high for applicants when preparing and submitting a purchase application. You have only one chance to make a good impression. Therefore, it’s critical to ensure that a NYC coop purchase application is prepared with the utmost level of attention to detail and thoroughness. The most difficult part of the co-op board application itself is coordinating the various documentation which you will be required to submit. As we mentioned above, you should immediately request the items which require input from third parties (i.e. reference letters, seller signature pages, seller fees, etc.) because these are directly outside of your control and therefore most susceptible to delays. Above all, the most important things to remember when assembling a coop purchase application are attention to detail and thoroughness. If you submit an incomplete coop board application, you will delay the coop purchase process by weeks. Have your buyer’s agent include a cover letter which provides a table of contents for the assembled board package as well as his/her full contact information. Include a nice introductory letter from yourself (the applicant) which describes what you do, introduces your children and where they go to school (if local), describes your inclinations for living in this particular area and building, and illustrates your excitement at the possibility of becoming a member of the community. Call and ask the managing agent exactly how they’d like the package to be assembled. While some managing agents will require each copy be presented in a 3-hole punch binder, others may ask for you to clip the package together. In general, you should never bind the board application because that will inhibit the managing agent’s ability to re-shuffle the board package and make any additions or subtractions as they complete the initial review of the board application. Type out both the application and the financial statement, even if the managing agent permits handwritten applications. If you are unable to edit the PDF directly on your computer, you may use any number of free, online PDF editors to type in your content once you’ve finalized everything. Ensure that the numbers on the financial statement correspond exactly to those on your supporting documentation (bank statements, etc.). Make sure that each reference letter is signed, dated and includes the complete contact information of the reference. Don’t leave any sections blank. Proofread the entire purchase application multiple times to check for obvious errors, typos, and incorrectly ordered pages or supporting documentation. Submit certified checks for any fees requested by the purchase application, even if personal checks are accepted or the application makes no mention of the checks having to be certified. Coordinate pages which require signatures of buyer & seller (as well as any coop application fees payable by seller) as soon as possible. If you are working with a buyer’s agent and receiving a tax-free broker commission rebate, he or she will likely commence this step of the board application in the days after the contract is fully executed. Make a copy of the purchase application to keep for your records. Once you’ve submitted your application and been informed of your interview date, we highly suggest that you re-familiarize with your board application so you can be prepared to answer any questions from the board during your interview. All NYC coop purchase applications will require the submission of a number of different fees. Note that the type and amount of the fees will vary by coop building. In addition, some coops may require all of the fees up front whereas others may request some of them (such as the closing fee) later in the process. If you are working with an experienced buyer’s broker, he or she will know to request any fees required by the seller very early on into the process to avoid delays further down the line. Note that it’s quite common for coops to charge fees for just about anything that requires their involvement, including for NYC coop sublet applications. PRO TIP: Always check your specific coop purchase application to see what forms of payment are accepted. Even if personal checks are permitted, we always suggest sending certified checks because it will eliminate the processing time associated with waiting for your checks to clear the bank. Since most managing agents will not accept an incomplete board package, you must wait until you have all documentation before submitting. Most contracts will state that the buyer has 10-15 business days to prepare and deliver the completed bord package to the building’s managing agent. Applicant Information Sheet (Purchase Application) – you should be able to complete most of this quite easily. There are some items which your buyer’s agent will need to provide you with, such as the contact details of the seller and the seller’s SSN (if applicable). Credit Application / Release Form – you can sign these anytime. Fully Executed Contract of Sale – your attorney should have already provided you with a copy of this! Financial Statement (Pre-Close) – it may take a few hours for you to complete and verify the financial statement once you’ve assembled the supporting bank & asset documentation. Post-Close Financial Statement and Cash Flow Statement – the post-close financial statement is identical to your pre-close financial statement, with the following edits: (+) add the value of your purchase price under assets, (-) remove your contract deposit from assets, (-) remove your additional down payment from assets, (+) add your mortgage amount to liabilities. Bank Verification Letters – it should take your bank less than one week to provide you with these documents. Bank Statements (2-6 months) – you should be able to easily procure these through online banking. Personal Reference Letters – these can take anywhere from one to three weeks depending on who your reference is, so we suggest you ask for these right away! Business Reference Letters – a business reference letter can usually be procured more quickly than a personal reference letter, but you should still request one ASAP. Landlord Reference Letter – the landlord reference letter usually takes the same time to procure as a business reference letter, so figure one to three weeks. Employment Verification Letter – your HR department should be able to provide this to you in a few days. Previous Tax Returns (1-3 years) – if for some reason you’ve misplaced your previous tax returns, you’ll need to ask an accountant or request a transcript from the IRS. The latter option may take up to four weeks, so you’ll want to check and see if you have your previous tax returns as early as possible. Proof of Homeowners Insurance – one day. Photo Identification – one day. Copy of the Loan Application & Commitment Letter – you should already have these on file. Copy of the Aztec Recognition Agreements – similar to the loan application and commitment letter, your banker should have already sent you a copy of this! Signed Building Acknowledgements: Move-in/Move-out Procedure, Special Conditions Acknowledgement, Terms and Conditions, Corporation Compliance Letter, Pet Policy Acknowledgement, etc. – one day. Once you’ve submitted your purchase application to the managing agent, the agent will review the completed package before submitting it to the board for official review. The managing agent will contact your buyer’s agent if the purchase application requires any edits. As soon as the managing agent confirms that the purchase application has been submitted to the board, you should expect to receive an interview invitation in one to three weeks. However, please note that the specific timeline for being contacted for an interview varies by building. Alternatively, to completely eliminate the co-op review process you can buy a condo in NYC. You should know however that condos have their own set of differences compared to co-ops, including higher closing costs. Condos are also 10-40% more expensive than comparable co-ops (coops). Condos also have their own purchase applications, however they are substantially less complicated than those for co-ops (nor is there usually a board interview). On the more positive side, condos have much more flexible sublet policies compared to co-ops. Therefore, condos are the preferred real estate of choice for true investors looking for maximum optionality. PRO TIP: Co-ops in New York have a lot of discretion when it comes to the speed of their decision making process. The vast majority of counties in New York do not have any laws which obligates a co-op board to make a decision within a set period of time. However, the Rockland County Legislature passed a law on February 6, 2018 which requires co-op boards to make a timely decision on co-op applicants. The co-op board must provide written notice of a decision to an applicant within 45 days of the receipt of a complete purchase application. The applicant is automatically approved if the co-op board does not respond within 45 days. If an application is incomplete, the co-op has 10 days to make a written request to the applicant for additional information. An applicant’s unavailability for an interview does not count towards the 45 day period. Co-op reform in New York is a hot topic because of the habitual abuse of power by co-ops when it comes to the application process. Westchester County recently introduced a bill which implements the same 45 day timeline and also requires the co-op board to state the reason for a rejection of an application. The bill is under consideration. The entire co-op approval process from board package submission to approval when buying a coop in NYC can take from five to eight weeks. If the proposed buyer (shareholder/applicant) is approved by the board, the closing itself usually occurs one to three weeks after notice of approval is conferred by the board. Therefore, it can take from six to eleven weeks from the time you submit a co-op board application to the time you close on your apartment purchase. The combined six to eleven week time-frame above begins once you have a fully executed contract and have assembled the board package. Both the contract negotiation (which happens before you begin assembling the board package) and the preparation of the board package itself can take a number of weeks. 2-3 weeks: Assemble co-op purchase application. PRO TIP: Note that as a buyer you can still buy a co-op and bypass the co-op board application process by purchasing a co-op sponsor unit. In the case of a sponsor sale, you may be asked to complete an abbreviated version of the purchase application. However, just like with a condo there is no credible threat of your application being rejected by the board. As we mentioned above, if the proposed buyer (shareholder/applicant) is approved by the board, the closing itself usually occurs one to three weeks after notice of approval is conferred by the board. Every co-op building and deal is unique, however in general the process of coordinating a closing is rather straightforward since the board has already approved the deal and the buyer already has a commitment letter in place. 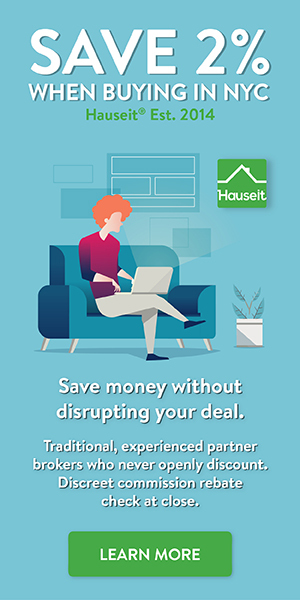 The act of coordinating a co-op sale closing date is something which is driven by the attorneys, managing agent and mortgage banker who is working on the deal. Note that managing agents often only permit closings to be scheduled on specific days and times throughout the month. The first component of a NYC coop board application is the purchase application (information sheet). Depending on the coop building, this section can range anywhere from 2-5 pages. Mortgage Information – Proposed Interest Rate, Monthly Payment, etc. It’s important when completing this section that you answer all questions thoroughly and do not leave any blanks. We’d also suggest typing out the application, even if the board does permit handwritten applications. The last thing you want is for illegibility to give the management company (who reviews the application before submitting to the board) or the board itself a reason to delay the processing or review of your application. As an applicant, you will be asked to submit and sign a credit authorization release form. This gives the managing agent the permission to run a credit check on you and any other applicants. In addition to revealing your credit score with the major agencies, this report will also unearth details about your specific lines of credit as well as any balances you carry. Therefore, it’s important that you accurately state your outstanding credit card or other debt on the financial statement. Some more liberal/flexible co-ops may no charge you a fee for a credit report. Instead, they will simply ask you to order the credit report on your own and include it in the completed board package. PRO TIP: If the managing agent discovers any discrepancies between the debt levels you listed on the financial statement and the what your credit report says, you may be asked to provide additional verification. For example, if you pay off your credit card balances every month but the credit report still lists an outstanding balance, you may be asked to submit your latest credit card statement which shows that you have a zero balance. All coop boards in NYC will require you to submit a copy of the fully executed contract of sale (including any riders or disclosure forms) along with the purchase application. If your seller is remaining in the apartment after closing for a period of time, you will also need to include a copy of the post-possession agreement in this section of the NYC co-op (coop) board package. A typical NYC co op purchase application will require applicants to submit a thorough and updated personal financial statement to make sure you pass the co-op’s financial requirements. This statement is very similar to the REBNY Financial Statement which you may have prepared in order to submit an offer on a coop in NYC. However, unlike with the REBNY financial statement there is no room for error on the board application statement in regards to incorrect numbers or subtotals. The main components of the purchase application financial statement include: income/expenses, assets, liabilities as well as itemized schedules of your liquid (cash/money market funds) assets, brokerage, real estate and other material assets. Applicants are also required to sign and date the statement in order to attest to its accuracy. When preparing this statement, the most important element is to ensure that all of the subtotals match exactly the supporting bank statements, bank verification letters or other asset verification documentation which you are including in the purchase application. You must also make sure that all of the sums are correct. Corroborating the figures on the financial statement is one of the first things that a managing agent does when they review your application before passing it along to the board. Tax Liability – in the event you were recently billed for next year’s property taxes or other forward-looking tax liability, there’s typically no need to include this information on the application. Dividend Income – when calculating your dividend and interest income, make sure it reflects the figures on your most recent tax return. The specific location of these figures is on your IRS 1040, lines 8a, 8b and 9a. Real Estate Owned – if you own other real estate, please specify how the properties are being used (rental property, second home, family member’s residence, etc.). If you own any rental properties, it would be helpful for you to include the remaining length of the lease(s) and the current rental rates. Other Assets – if you own any non-traditional asset (such as a privately traded Real Estate Investment Trust), you should footnote this item on the financial statement and explain what it is in layman’s terms. Rounding Up – some buildings prefer that you round up to whole dollar amounts, but other buildings want you to include exact numbers. To avoid wasting time, you should have your buyer’s agent check this BEFORE you begin working on the financial statement. Credit Card Balances – if you pay off your credit cards every month but your credit report shows a balance, enter $0 for credit card debt on the financial statement and include a footnote stating that you pay off your credit cards at the end of every month. Financial Statement Reconciliation – if you have a large number of accounts, it would be helpful for you to include a financial statement reconciliation which explains how you’ve calculated the balances in each category of the financial statement. The reconciliation should identify each account, list the most recent balance and note the statement date from which you pulled the balance figure. In rare instances, your building’s purchase application may request a ‘post-closing’ financial statement. The purpose of this statement is to give the board a better feel for the strength and nature of your financial profile once you’ve completed the purchase by depleting your cash and taking on any additional debt to finalize the transaction. You will likely be asked to submit an official bank verification letter for each account you’ve listed on your financial statement. These letters include the following information: account names, account address, type of account, account number, date opened, current balance as well as your banker’s contact information. The easiest way to request a bank verification letter is by visiting your local bank branch and speaking with a personal banker. PRO TIP: If the balance on your bank verification letter is different from that on your most recent statement, you generally want to go with the figure from the most recent documentation. We suggest that you highlight the latest balance figure on your bank statement or verification letter. In the case that something is not intuitive, you should include a footnote next to the line item on the financial statement explaining where the figure came from and why you used it. In order to verify the assets you’ve listed in your financial statement, you will likely be required to submit copies of up to three months of records, statements or agreements for each line item on the financial statement. If you received a gift in conjunction with your coop purchase, this is the section where you will need to include signed gift letters as well as documentation supporting the gift transfers into your bank accounts. The simplest way to do this is to provide a bank wire transfer statement or to note and highlight the incoming bank transfers in your corresponding bank statement. PRO TIP: For all supporting documentation you provide, including bank statements, it’s critical that you provide the most recent statements. If you prepared your coop purchase application before finalizing your mortgage commitment letter and lots of time has passed, please be sure to refresh the supporting bank statements as well as asset figures you’ve included on the purchase application financial statement. Go into detail on the individual – be biographical where possible, length of time you’ve known them, how you met, why you know them. Why are you friends? How you socialize with them – activities and events you attend as common interests, i.e. theatre, sports, charities, professional associations, traveling, etc. Perhaps you no longer live in NYC – were you or they ever a guest in your respective homes or the home of a family member? Specify their character traits and cite examples. This description should enable someone to “recognize” them at a dinner party – try not to generalize by using adjectives as “responsible, trustworthy, honest, ethical” without demonstrating how. If you know their educational background, refer to it and their achievements during academic life and after. How should a NYC coop personal reference letter be formatted? A NYC co op board application may request anywhere from 1-4 business/professional reference letters. A business reference letter can be from a supervisor or colleague. Describe how and why you know them professionally – how did you meet, how long have you known them? In what capacity are you professionally associated with them? What characteristics make them a standout at work? Are they team players, leaders, relate well to other colleagues? Please go into detail on this. What achievements have they accomplished at work? How should a NYC coop professional reference letter be formatted? A landlord reference letter must come from your present landlord or managing agent and state, at a minimum, your payment history. It’s always helpful if your landlord provides as much information as possible, including your move in date. As is the case with your personal and professional reference letters, the letter from your landlord must include his/her contact information. PRO TIP: If you live at home, with a friend or are otherwise fortunate enough to not pay any rent, you’ll need to request a signed and dated letter from your host stating your name, address and the fact that you live with them and are not paying any rent at present. How should a landlord reference letter be formatted? Pursuant to your request this is to confirm that the above referenced apartment is leased to you as of March 31, 2017 to present at a current monthly rent of $6,500. Additionally, [John Smith] is listed as an occupant in the apartment. Your rental account is up to date through October 1, 2017. PRO TIP: Are you self-employed? If so, you will need to include a letter which includes the following information about your business: type of business and brief overview, date of formation, profit/loss history for as many years as possible, as well as any other notable items – list of clients, notable deals, etc. You will also need to include a signed letter from your accountant which verifies all of the business financial information included in the coop purchase application. Most coop board applications will require that all applicants submit at least 2 of the most recent tax returns along with the application. Depending on how rigorous your coop’s purchase application is, you may be asked to provide just Federal (1099 & W2 forms) or your entire tax return (copies of Federal, State, City income tax returns with W-2s and / or 1099 forms). If you are a foreigner buying property in NYC and recently moved to the United States, you should also submit your most recent foreign tax returns. PRO TIP: Please note that some co-op board applications require you to sign the relevant pages of your tax returns, such as page two of your Federal 1040. Out of an abundance of caution, we suggest you go ahead and do this anyway. Get an overview of NYC real estate taxes and the associated costs of home ownership in New York City. For the purposes of completing the coop purchase application, you may be asked to include documentation of a homeowners insurance quote. The simplest way to do this is to request one online or through an insurance broker and then include a print out of the full quote information. Most (not all) purchase applications will require copies of photo IDs for all applicants who are over the age of 18. Please be aware that some board applications will specifically request color copies. If you are financing your coop purchase, you will need to include a copy of the complete loan application as well as the bank commitment letter. Are you still shopping around for a loan? If so, we suggest you learn about the differences between mortgage brokers and bankers in NYC. A cooperative questionnaire is a survey that banks and mortgage lenders will request the managing agent of a cooperative apartment building to fill out in order to approve the building for financing. If you are financing your coop purchase, you will need to include a copy of the Aztech Recognition Agreements. Note that some NYC coop purchase applications will request original documents as opposed to copies. If there is ever a doubt about whether you need originals or copies, we suggest that you contact the managing agent. It’s also possible that your co-op won’t ask for the Aztech Recognition Agreements to be included in the board packge. In this scenario, the managing agent will ask you to mail the Aztech Recognition Agreements to them separately. PRO TIP: In some instances, pages on the coop purchase application may require original signatures of both the buyer(s) and seller(s). It’s highly recommended that you start the process of getting these signature pages taken care of as soon as possible to prevent delays further down the line. Is Buying a House Without an Agent in NYC a Good Idea?